Stock markets reflect overall economic conditions. 3. Why Do We Need a Stock Market? Stock markets are at the heart of the global financial system. Businesses need the stock markets to raise capital. Individuals, charitable foundations, pension funds and other investors access the markets to buy and sell the stocks of these businesses. Regulators are there to protect investors from abusive trading practices and to preserve the integrity of the financial system. Stock markets provide businesses a venue for raising capital. Companies raise funds for strategic and operational reasons, such as making acquisitions, establishing a presence in new markets or building new infrastructure. Companies can also use stocks for merger and acquisition transactions. A stock market listing adds credibility, which could help management during negotiations with potential clients and partners. Companies also use stock as compensation. Restricted stock, employee stock ownership plans and stock options are some of the stock-based compensation tools that help companies attract and retain qualified employees. Stock markets are central to financial planning. You can hold stocks directly in your online brokerage accounts and indirectly through mutual funds. You can choose from hundreds of stocks in different industries and regions of the world. Aggressive investors can buy growth stocks, which are volatile but offer significant capital gains. Conservative investors can invest in utility stocks and preferred stocks, which pay regular cash dividends but are not quite as volatile. You can buy professionally managed mutual funds if you do not have the time to research individual stocks. You can also buy exchange-traded funds, which track various indexes but trade just like stocks. Stock markets are at the core of the free market economic system. They allocate capital effectively to businesses that make products and deliver services that customers need. The markets reward companies that grow market share and punish companies that do not innovate or react quickly to competitive threats. Investors buy shares in companies that can manage costs and drive profit growth. They stay away from companies that set lofty goals but fail to deliver. Struggling companies either merge with stronger competitors or cease operations and disappear from the stock markets. The stock exchanges, including the New York Stock Exchange, are self-regulatory organizations. 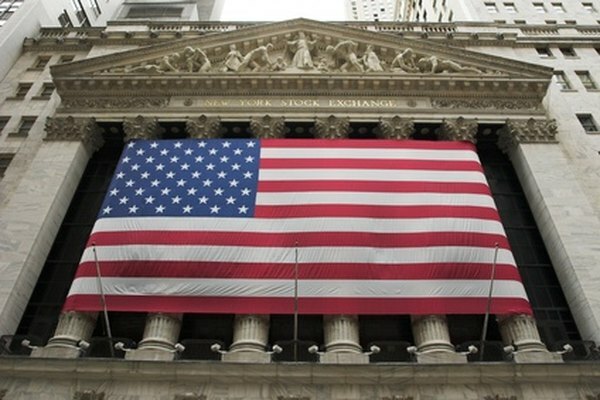 The NYSE works with the U.S. Securities and Exchange Commission and other regulatory organizations to establish and maintain rigorous regulatory standards. Companies must meet certain rules with respect to financial reporting, ethical conduct and corporate governance. These rules protect investors and other market participants from insider trading and other unethical or fraudulent trading activities.